Hello April! These white pants are a favorite of mine! They are so comfy and perfect to wear all spring/summer! These white trousers are so perfect for Spring, love this look. I love this look!! 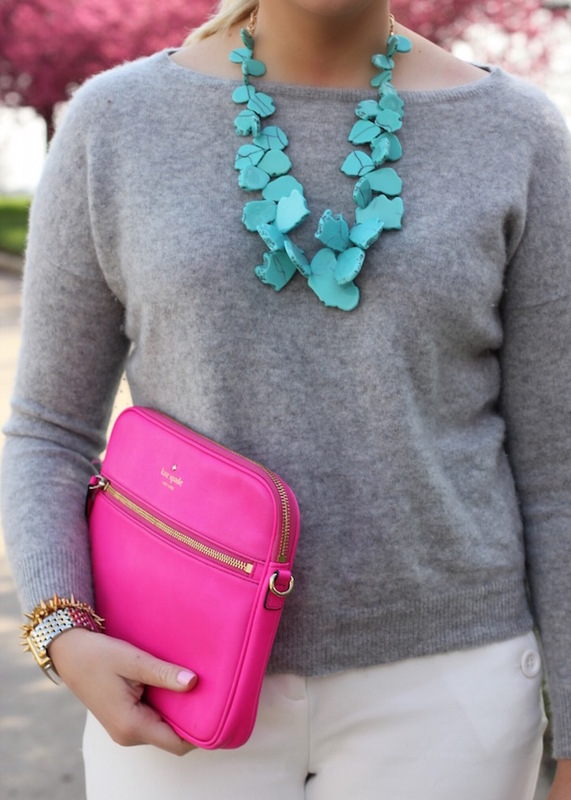 And I think I remember this necklace from last year---did you buy it last year and talk about it on the blog? I am so enthralled with it---then & now! Beautiful sweater! I love to pop of colors! Joyful! What a gorgeous Spring look! Love those white pants and pops of color!